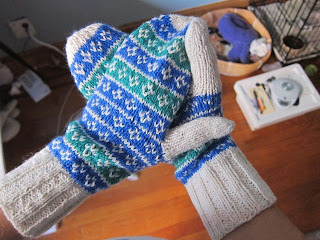 Last week I finished my second pair of mittens (the blue and green ones) and I realized that I hadn't posted anything about the first pair! 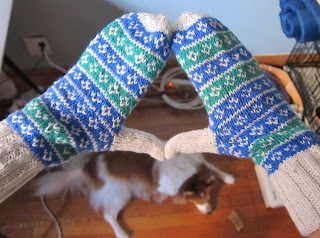 Here are a few pics of my mitered mitts, my hat and my blue and green mittens. 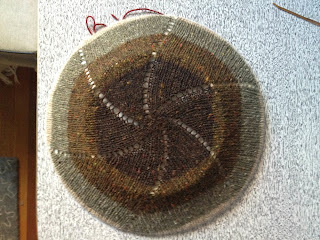 I love love love Rowan felted tweed yarn. This is the "fine" version. If I weren't on a yarn diet I would go buy some more and make a matching scarf. 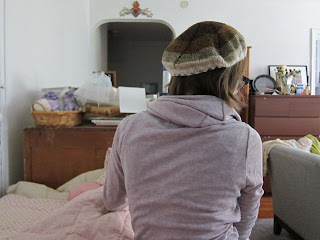 For now, I'm contenting myself with a hat (which I wear EVERY day) and my fabulous mitered mittens. The blue and green mittens (and actually the hat too) are of my own design. 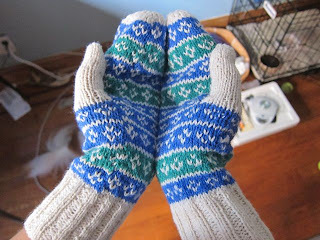 The pattern for the mittens, I'm calling them "Marine Mittens", will be available soon. They are made out of Elsebeth Lavold Silky Wool and use about half a skein of the white and smaller amounts of green and blue. A great stash buster! The only problem with all these tiny winter things is that it's not cold enough to wear them yet!!! 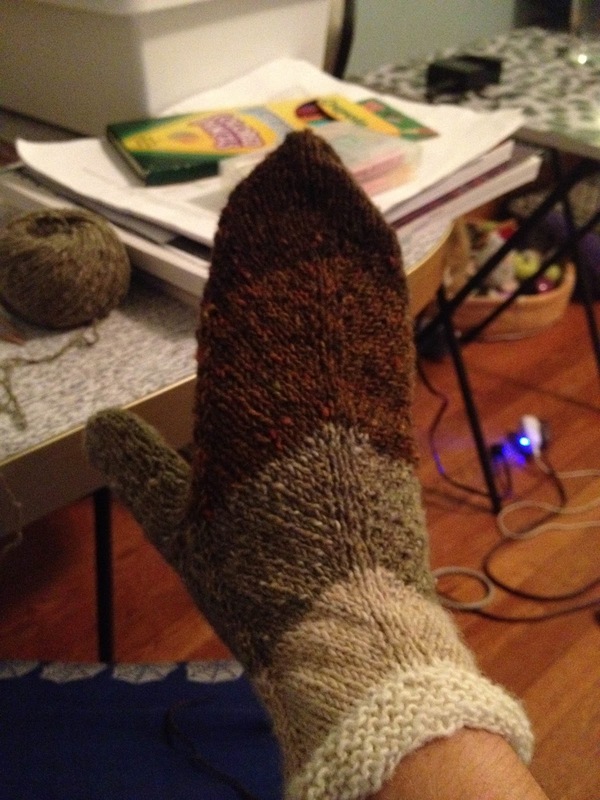 I think I need to whip up a pair of my Tinsel & Garland's fingerless gloves to hold me over.